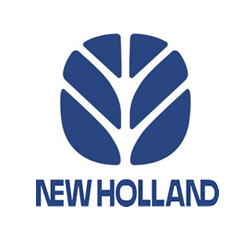 New Holland is a brand committed to developing the farming technology of tomorrow, which has been in existence since 1895. Now part of the Fiat Group, it is a global supplier of agricultural vehicles specialising in a wide variety of combine harvesters, excavators, forage harvesters, and tractors. It’s with great pleasure that Viezu can offer a very significant range of New Holland tuning and New Holland remapping for the modern New Holland Vehicles. Viezu has generated a wide spectrum of New Holland engine remaps and New Holland ECU software remapping chip tuning services. The New Holland tuning we can provide is bespoke engineering at its finest and can be perfected to suit your needs. Not only is there an increase in fuel economy and fuel efficiency, but Viezu’s New Holland tuning and ECU remap software also improves overall power and torque, throttle response and driveability. Viezu has worked hard to develop a fantastic range of tuning for New Holland diesel tuning as well as New Holland petrol tuning. The majority of New Holland tuning is carried out swiftly and efficiently through the OBD port and a remap can be installed in as little as 45minutes, so you can get back on the road in no time at all. All of the remaps and New Holland tuning produced by Viezu can be personalised to your exact needs, be it all out performance or economy remap offering fuel saving. We can also cater for New Holland modifications and custom requirements and tuning too. All New Holland tuning and remapping work comes with Viezu’s no quibble money back guarantee and full underwritten insurance. Viezu New Holland Tuning is developed in house by our team of ECU software and remapping experts, building performance and economy engine maps for a range of New Holland vehicles including the New Holland CX, E, FR, MXU, T, Tg and Tm. Whatever your New Holland tuning and performance requirements the Viezu team and our worldwide dealer network are here to help.